A service of scripture, song and Holy Communion. Join other churches in West Springfield for this community service. Parking and service held at Springfield Country Club off Keane Mill Road, just east of Rolling Road. Sign up at church to bring items and assist with set-up for our annual brunch. Everyone is invited to an Easter morning brunch. 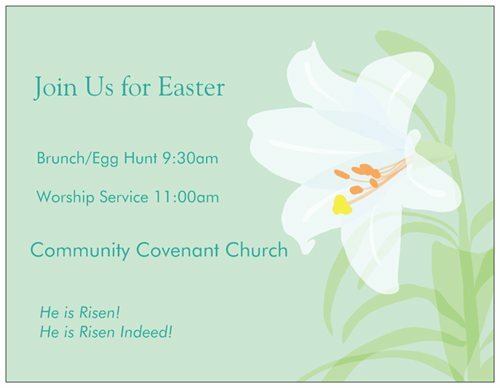 An egg hunt and activities for children will occur around 10:00 a.m.